I got a message from a member of my Facebook group. If you fantasize about what it would be like to have a baby that sleeps through the night, but you’re not doing anything about it, you should read my reply. 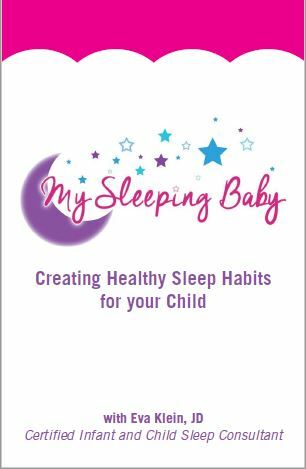 All healthy babies and children can learn how to sleep well. I repeat: ALL HEALTHY BABIES AND CHILDREN CAN LEARN HOW TO SLEEP WELL! Sleep is a basic biological function that we ALL need- babies included! Look, are some babies more difficult and needy than others?- Yes. 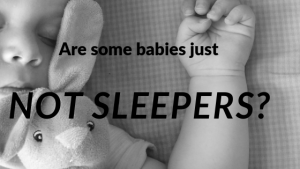 Does sleep come more naturally to some babies than others?- Absolutely. But can needy babies *learn* how to sleep just as well as their easy-going friends? YOU BET! It just means that your difficult and needy baby might not let you get away with things that an easy-going baby will let you get away with. For example, since you’ve been following me on Facebook for a while, I’m sure you know that overtiredness is a very well-known sleep stealer with babies and young children, right? So perhaps an easy-going baby will still manage to sleep through the night even though her daytime schedule is off, causing her to become overtired. Your high needs baby, on the other hand, might wake up at all hours of the night if he repeatedly skips his afternoon nap or goes to bed too late. So as long as you respect your baby’s sleep needs, she CAN learn how to sleep through the night! I’ve been in your shoes. My middle child was (is?) a high needs baby (she’s now 5 years-old). She also hated sleep- or so I thought. 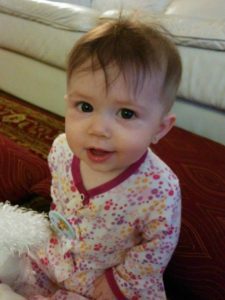 Thankfully, with the right sleep plan in place, I still got her sleeping through the night by the time she was 6 months…and managed to keep it that way! Plus, I’ve helped well over 1,000 families transform their babies and toddlers into champion sleepers for life…and MANY of those little ones fell into the “high needs” category. The moral of the story- DON’T UNDERESTIMATE WHAT YOUR BABY CAN DO! As long as your baby is healthy, she CAN learn how to sleep, regardless of her temperament! Here’s a pic of my (then) newly-sleeping baby. Isn’t it amazing how much cuter they get when they finally sleep through the night 🙂 ?